Folding exposed aggregate precast concrete walls undulate vertically up the building to give the building its interesting and striking form. The angular walls are further experienced throughout the interior spaces of the homes to give the homes a playful personality. 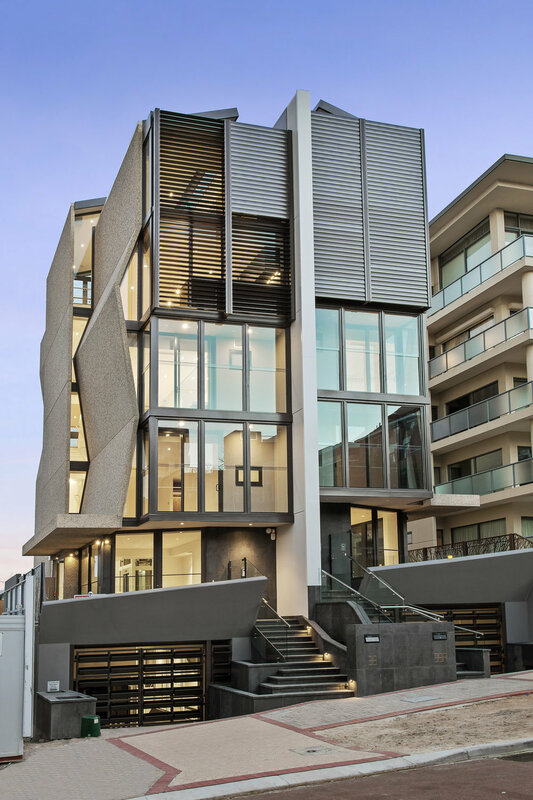 Built on a modest 170m2 lot size (340m2 Combined), each home boasts over 6 storeys of living. 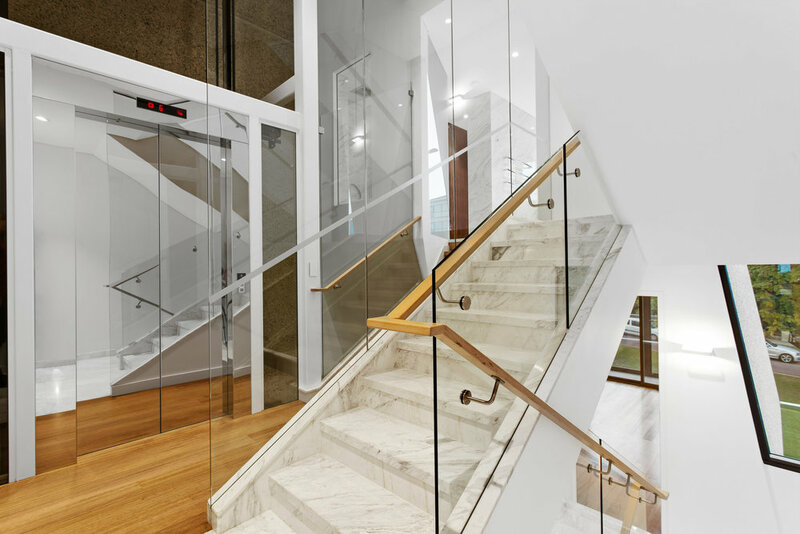 11 split-floor levels within each home are complimented by a 3-sided commercial grade glass lift. The deliberately selected lifts use a counterweight system where the counterweights pass up and down the open lift shaft to visually animate each home when the lift is in operation. The slender and tall nature of each home required a combination of ground stabilisation techniques (more than 126 six-metre deep 220kN screw piling and micro-fine grouting) to ensure the steep benched configuration of the land was suitable for the buildings. A glass bottom and cantilevering pool on the roof deck level provides the homes with a charismatic cheekiness but was not without structural challenges in its inception. 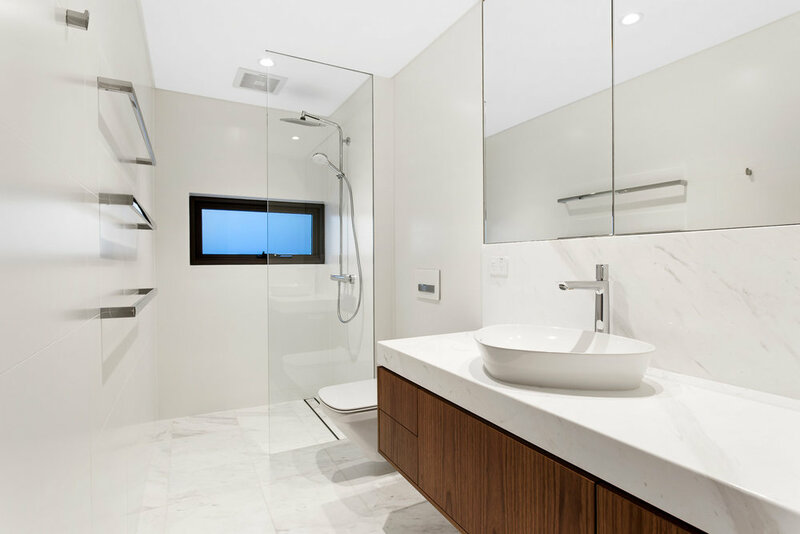 The homes ooze opulence and are equipped with high-quality finishes and selections throughout. 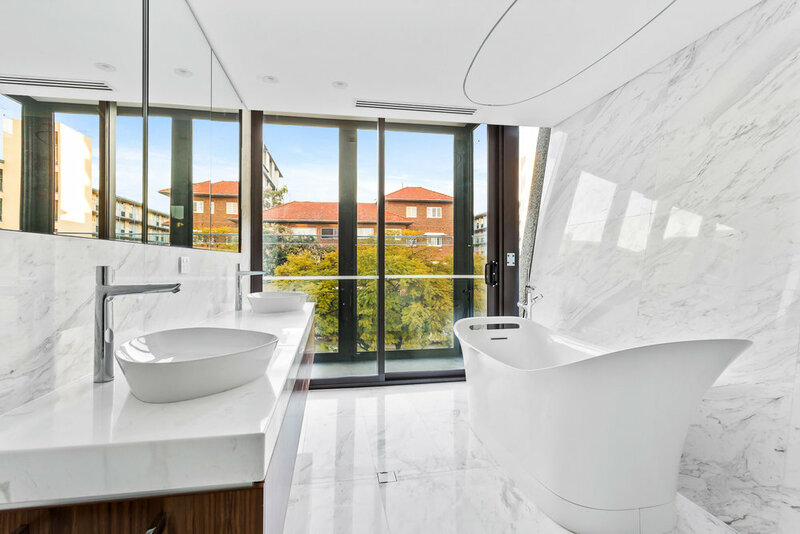 Carefully coordinated and thoroughly documented construction and services drawings, along with tedious site meetings and inspections allowed for this project to evolve from the pretty conceptual design package onto the award-winning building it is today.